Companies continue to migrate their data and applications to the cloud. According to the latest estimates from RightScale, around 95 percent of enterprises are using the cloud for at least one application, and organizations are on average using six different cloud environments to strengthen their IT infrastructure. However, some organizations have been slow to adopt, especially within several specific sectors. In the public sector, for instance, cloud adoption has been a bit laggard. According to CIO contributor Kenneth Corbin, around 80 percent of the current IT budget of $80 billion goes to maintaining legacy systems. What's more, the U.S. Government Accountability Office noted earlier this year that some of these legacy systems have parts that are more than 50 years old. "Security remains one of the top reasons that government organizations are lagging in cloud adoption." There are a few individual verticals that have been especially slow on adopting the cloud. Many organizations are still running their traditional environments, but even more are beginning to look at the cloud as a means to enhance their computing power and save expenses down the line. But the question remains: Where do they start? Building a bridge to the cloud from legacy infrastructure isn't easy, and there are a few specific challenges within each industry. For instance, security remains one of the top reasons that government organizations are lagging in the cloud adoption arena. Public agencies are struggling with how to effectively implement security protocols, to the point that they are still behind in cloud adoption in comparison with the private sector. "There continues to be a lack of consensus by the agencies with their cloud service providers as to how effectively to measure, monitor and evaluate security in a cloud environment," Mark Kneidinger, director of the Federal Network Resilience Division at the Department of Homeland Security, told Corbin. It's important to take a step back and make sure your cloud computing strategy is effective in all the right areas, and that includes security. Cloud security can be a difficult field to navigate if you don't know what to look for, and this is one reason why organizations are hesitant to go all-in with the cloud. There are many options when it comes to moving to the cloud – and it can be difficult to know where to begin, or with what applications. For one, there are several different kinds of cloud computing: private, public and hybrid infrastructure are the three main options, so it's critical to know which one of these will benefit your organization the most. For example, according to InformationWeek, a private cloud may offer more flexibility but less scalability. And while public cloud offerings tend to be less expensive up front, what happens in the future when you want to move your data to a different environment? 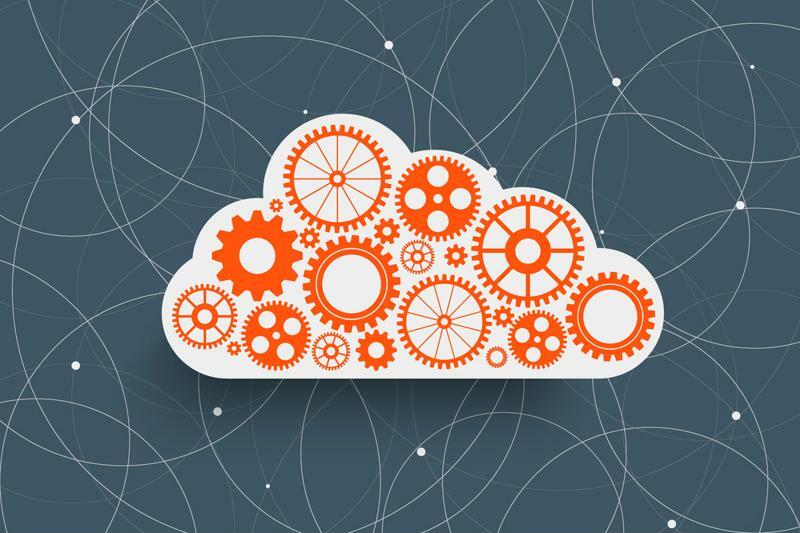 All of these things must be taken into consideration when undertaking a cloud migration. Choosing the right vendor and creating the correct strategy are both things that will impact your computing environment down the line, which eventually have an effect on your organization's ability to evolve, no matter what industry you call home. You need to make sure you choose a vendor that will grow with you, one that offers the solutions you need at the right time in your company's trajectory. It's critical to find the right vendor when looking to migrate to the cloud. In order to reap the benefits of the cloud, including enhanced flexibility, scalability and collaboration, what can organizations do to accelerate the migration of data and applications to these virtual environments? One important way to facilitate cloud migrations is by partnering with a managed services provider like Apptix. The professionals at an MSP have key industry insights that could be invaluable in deploying your own cloud environments, and they provide tried-and-true expertise that will help you make your cloud strategy as secure as possible, as well as intimate knowledge of the different cloud vendors. Get in touch with the managed services experts at Apptix today for more information about how we can help you conduct successful cloud migrations to public and private environments.